Do you know I was quite reticent to use printables in my BUJO to begin with because it sorta felt like cheating. But it saves so much time and means I’m more likely to use it! 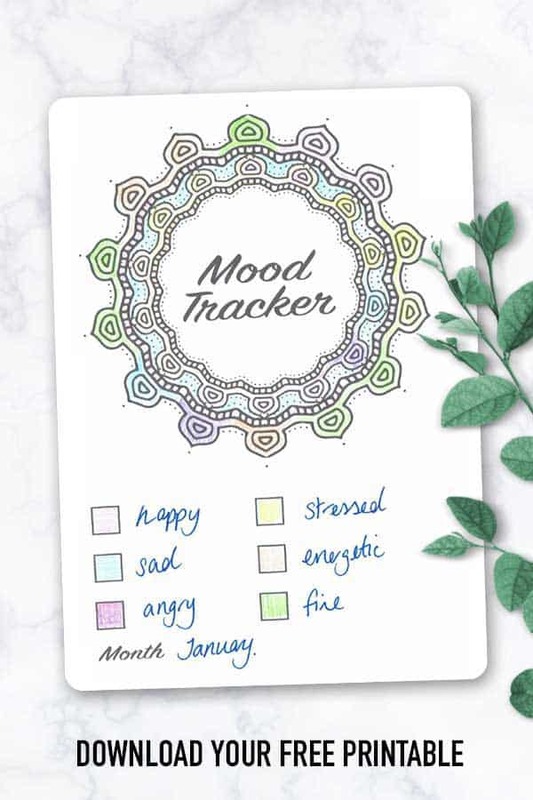 And I know you guys love them too because I’ve been having a lot of reader requests for a mood tracker bullet journal printable. And that’s exactly when I have for you today! 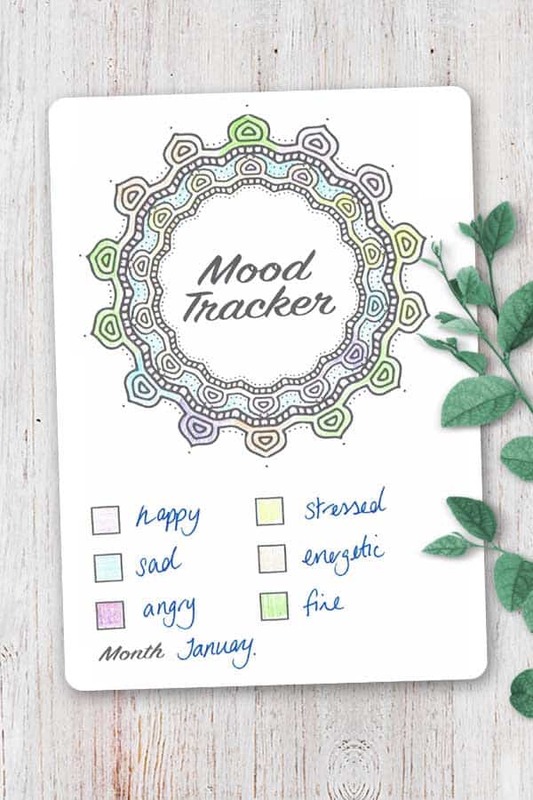 This mandala mood tracker is a colorful way to help you monitor your emotions during the month. Just think of up to six moods that you’d like to track and assign each one a colour using the boxes at the bottom of the spread. Then colour a segment each day with the colour that represents your overall mood. There are 28 “pointy” bits and then three circular trims making 31 days in total. 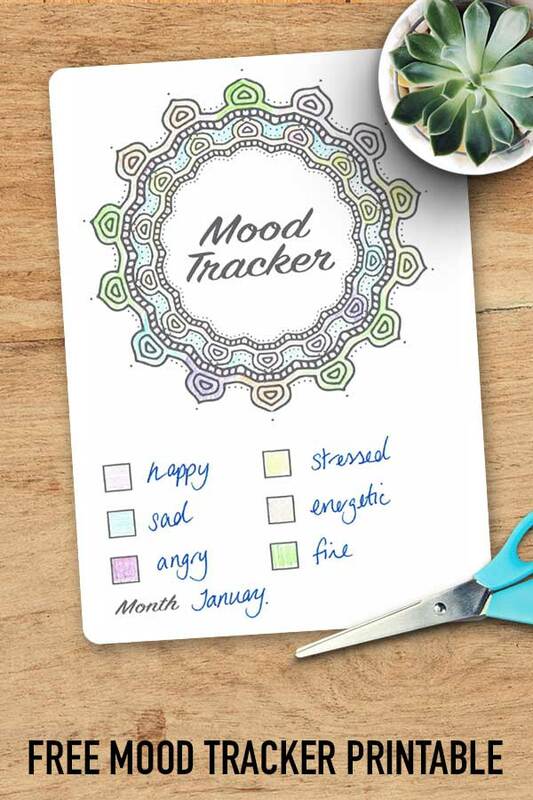 This free mood tracker printable is available in two sizes. There’s a full page spread that you can print out and put in a binder or stick on your fridge. Of if you want to put it in your bullet journal or planner you can print out the A5 version. Use regular printer paper and glue, or try this cool sticker paper to make sticking the tracker in your journal super easy!